Troy Hull has troubles. After the death of his parents, he left college to take up his family's traditional lobster-fi shing life. Now, thanks to poor fi shing, a misguided second mortgage, and the changing nature of his hometown, Troy fi nds himself faced with the loss of that life. As a former highschool classmate turned banker tells him: This isn't a fi sherman's town anymore. Indeed, soaring property values have made it increasingly a haven for land speculators, wealthy summer residents, and tax-sheltered retirees, and Troy's home- just off the harbor on a quiet stretch of Hull Creek-is exactly the sort of property these newcomers covet. So Troy must decide whether to join his friend on an illegal path to solvency or let the straight-andnarrow take him from his beloved home. 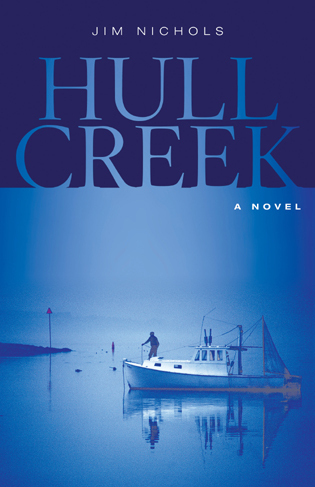 Hull Creek is a timely tale of change on the coast of Maine and the challenges it brings to the men who still seek their livelihood from the sea.